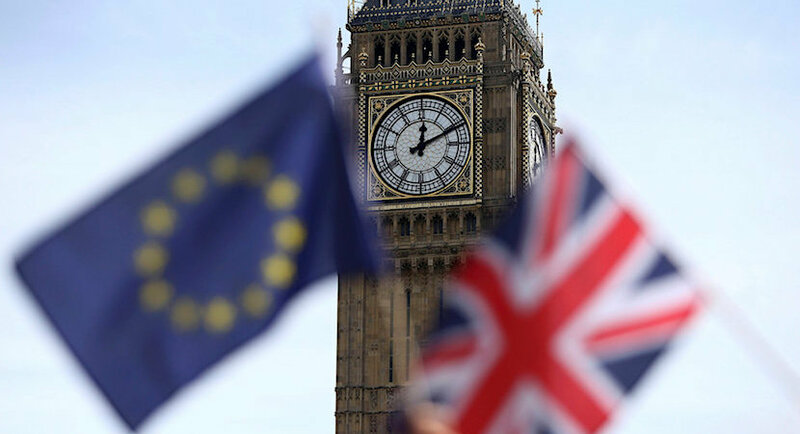 (Bloomberg) – The risk of a no-deal Brexit appears to be receding after calls for a delay to the UK’s exit from the European Union won powerful backing in London and other EU capitals. 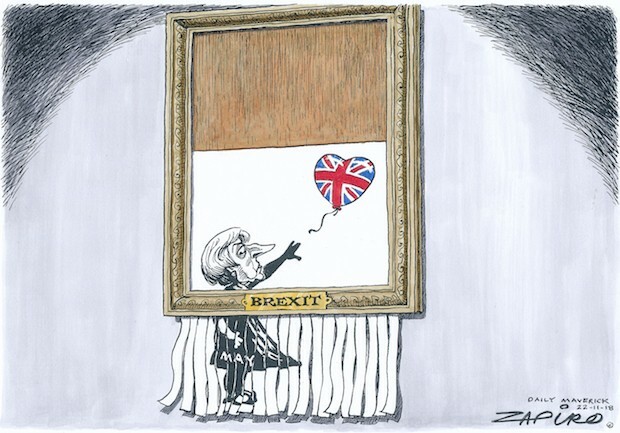 The pound rose. Senior figures in the French and German governments said they’d be open to extending the Brexit deadline as momentum built for a delay in the UK Parliament. Yet the issue remains toxic for Theresa May. The UK prime minister is caught in the crossfire between pro-EU members of her Conservative Party who are seeking to force her to postpone Brexit, and staunch eurosceptics who are threatening to bring down her government if she does. The pressure mounted on Thursday morning when Airbus SE said it could be forced to move future investments out of the UK if there’s no agreement. Time for reaching a decision is running out. If the UK can’t agree to a deal in the next nine weeks, the country will leave the EU on March 29 in a disorderly split that British authorities warn will risk a recession, and a hit to the pound of as much as 25%. May herself remains unpersuaded of the case for a delay, although – once again – she stopped short of ruling out an extension to the withdrawal deadline, set out in Article 50 of the EU’s Lisbon Treaty. “Extending Article 50 I don’t believe resolves any issues,” May told the House of Commons on Wednesday. Parliament will still need to decide if it wants a deal, a no-deal Brexit, or no Brexit, she added. Self-Shredder. More of Zapiro’s work available at www.zapiro.com. May is battling influential voices arguing for a delay. German Economy Minister Peter Altmaier confirmed in public what officials have said in private: Germany would be comfortable with an extension of the exit day deadline. “If the UK would need more time to clarify its position, I would not mind,” Altmaier told a panel at the World Economic Forum in Davos, Switzerland. The question of a delay could be taken out of May’s hands. Next week Parliament is slated to vote on a series of options for Brexit’s next steps, including a proposal to force the government to ask the EU to extend Article 50. Opposition Labour Party Leader Jeremy Corbyn met with Yvette Cooper, the architect of the cross-party move that would mandate a delay if there’s no deal Parliament can support. Labour’s Cooper has drafted the proposal with Nick Boles, a Tory. So far, at least 58 politicians from five parties have put their names to the plan. If Corbyn’s Labour Party formally backs it, the Cooper-Boles option is almost certain to succeed. The party’s Brexit spokesman, Keir Starmer, suggested the party might well swing in behind the plan. This week, Labour’s Shadow Chancellor John McDonnell said the party would seek to shorten the extension from the nine months in the Cooper-Boles plan. But the prospect of a delay angered May’s hardline Brexit-backing colleagues. A backlash grew among rank-and-file Brexiteers in the Tory Party. Their leader, Jacob Rees-Mogg, suggested that if the amendment passes, May should suspend Parliament – using a process known as prorogation. That would mean all pending legislation, including Cooper’s bill, would fall. Meanwhile Trade Secretary Liam Fox – a key campaigner for Brexit – suggested in a Bloomberg Television interview in Davos that he could live with a delay, if more time is needed to implement a deal. In Brussels, the EU’s chief Brexit negotiator, Michel Barnier, issued a warning to British lawmakers, saying “opposing a no-deal will not stop a no-deal from happening.”While the squabbling lawmakers can’t agree on a model for Brexit, many finance firms are moving money out of the City of London, a shift that may be irreversible. Five of the largest banks looking to serve continental European customers intend to move €750bn ($855bn) of assets to Frankfurt. For now, May is focusing her efforts on securing legal guarantees from the EU around the so-called Irish backstop, the part of the deal that most angers rebels in her Conservative Party and her allies in Northern Ireland’s Democratic Unionist Party. The backstop is a fallback arrangement if the UK and EU can’t broker a trade deal by the end of 2020, that would keep Britain tied closely to EU rules. Health Secretary Matt Hancock told ITV on Wednesday that if the EU agreed to drop the backstop or put a time limit on it, May should be able to get the deal through Parliament. But Annegret Kramp-Karrenbauer, Chancellor Angela Merkel’s successor as leader of the Christian Democratic Union party, didn’t offer much hope for May. She told Bloomberg TV she sees little scope to negotiate with the UK on the backstop.